Do you ever have those moments where you know, without a shadow of a doubt, that you are exactly where you are meant to be right here, right now? Yesterday, I had that feeling from head to toe. But then again, if you’re a regular reader of FFG you’ll know exactly why. 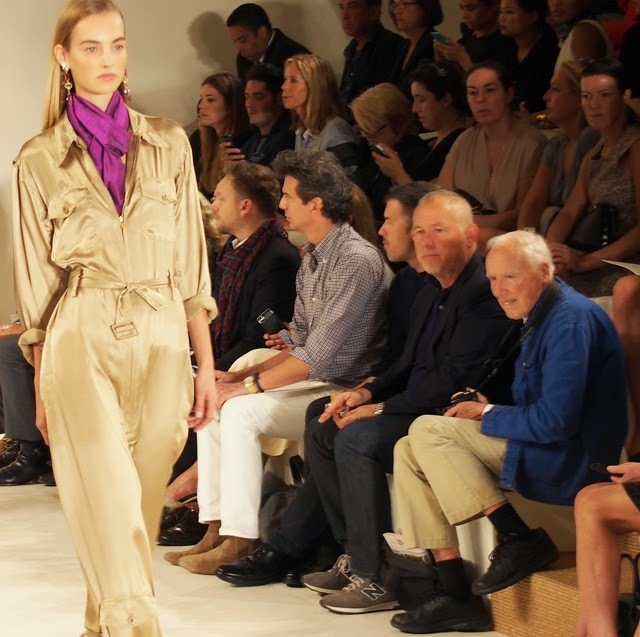 I was in New York, sitting at the Ralph Lauren Spring Summer 2015 runway presentation. 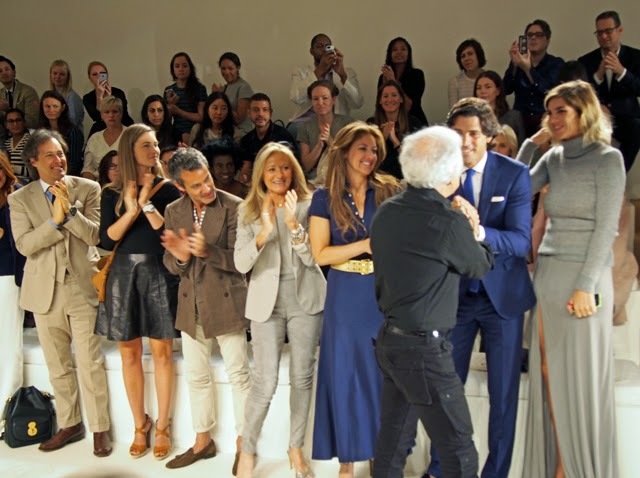 As each new look was marched onto the catwalk, my heart leapt and fashion angels sung. I swear, this is the show that keeps me in fashion each and every season. 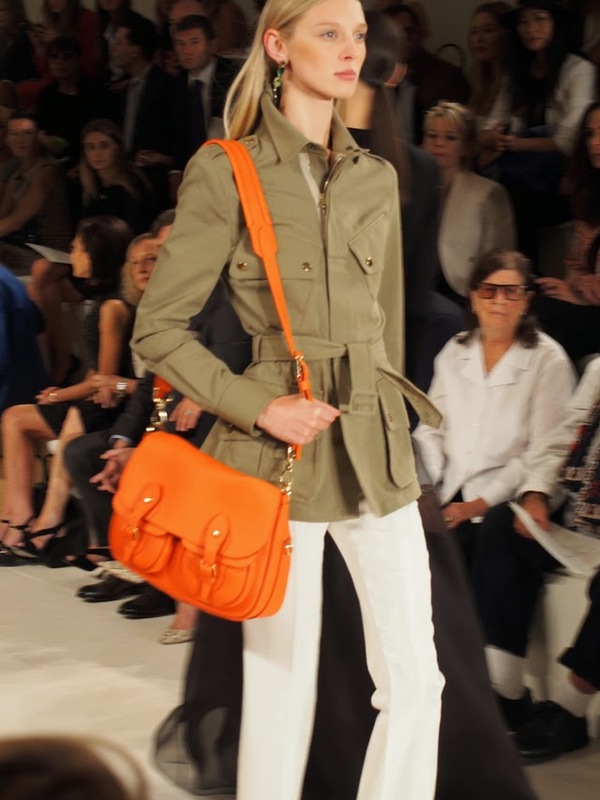 Every fashion week I say it will be my last, and every season Ralph delivers me from making good on such evil thoughts. 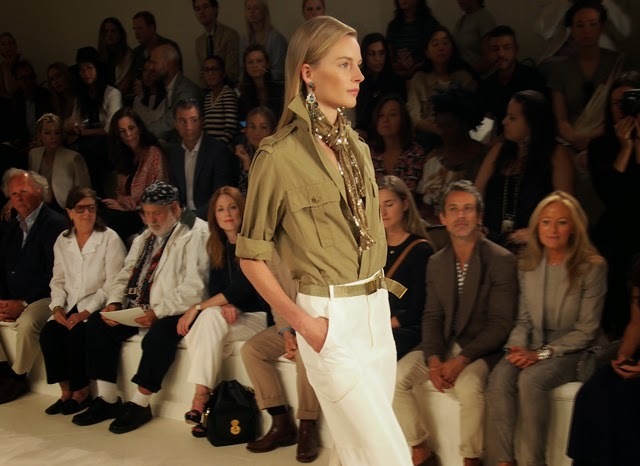 For Spring Summer 2015, Ralph Lauren delivered a casual elegance he is famous for. 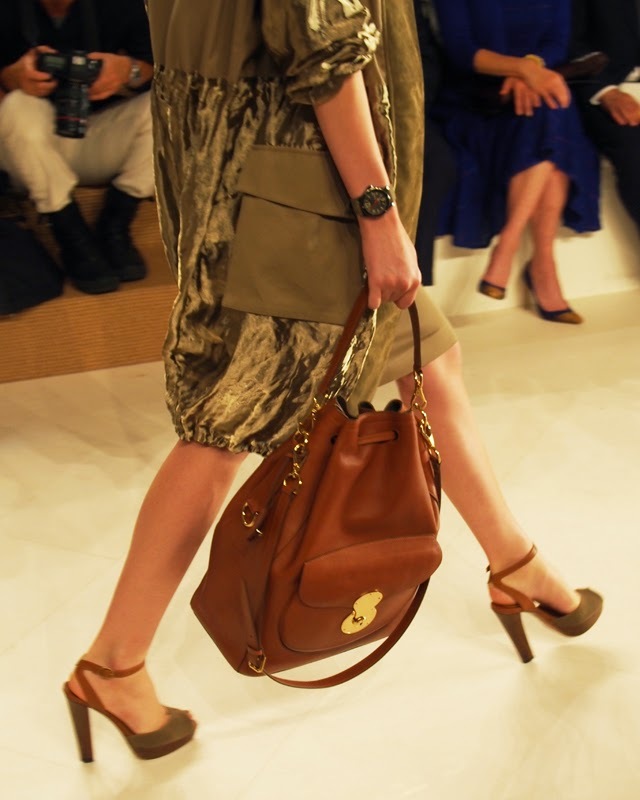 Shirt dress ball gowns, silk jumpsuits, braided leather skirts and dresses, all paired with the most fantastic jewels, made this a season to remember for the brand. 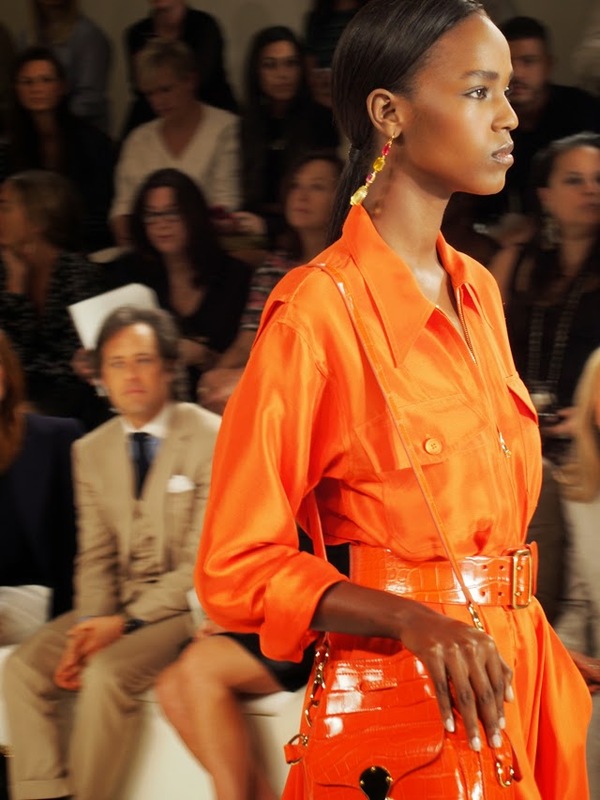 Colour was found hinted throughout, which we found in bright orange bags and shoes, bejewelled bodysuits and long flowing silk asymmetrical scarf tops. 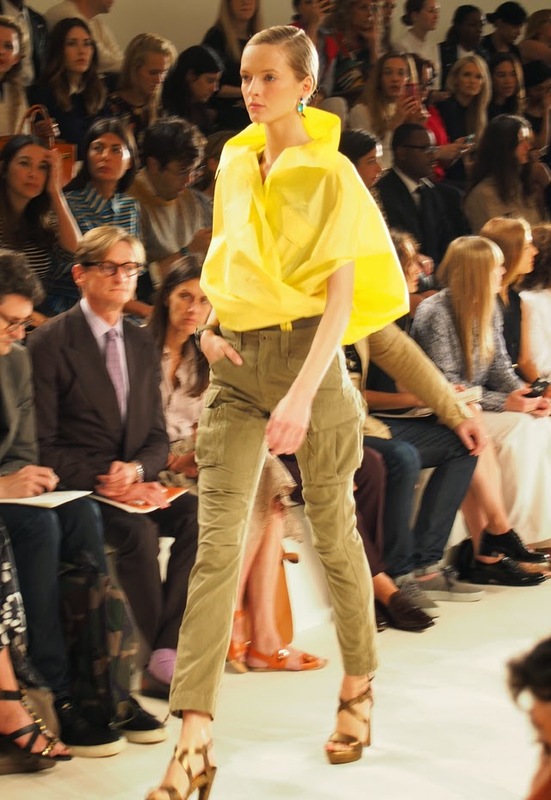 For those of you old enough to remember this movie, I couldn’t help but think of Troop Beverly Hills as some of the models stomped out onto the catwalk in their high waisted khaki coloured camping shorts, paired with a floppy matching hat. 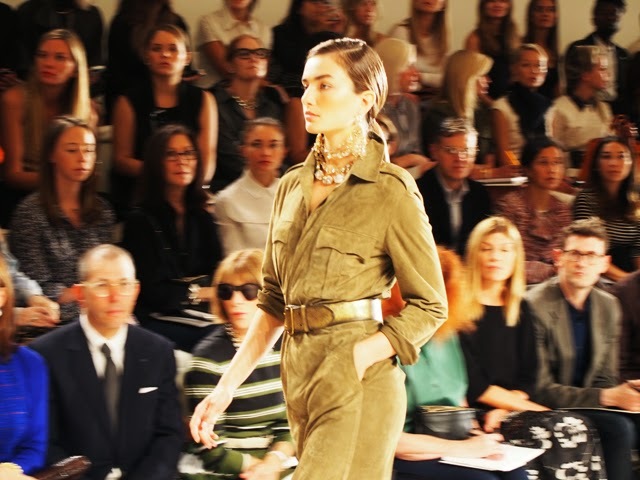 It was chic then, and seems even chicer now that Ralph Lauren has brought it all back to life. Sign me up for the whole collection, Mr. Lauren. Just give me a minute or two to sell a vital organ. 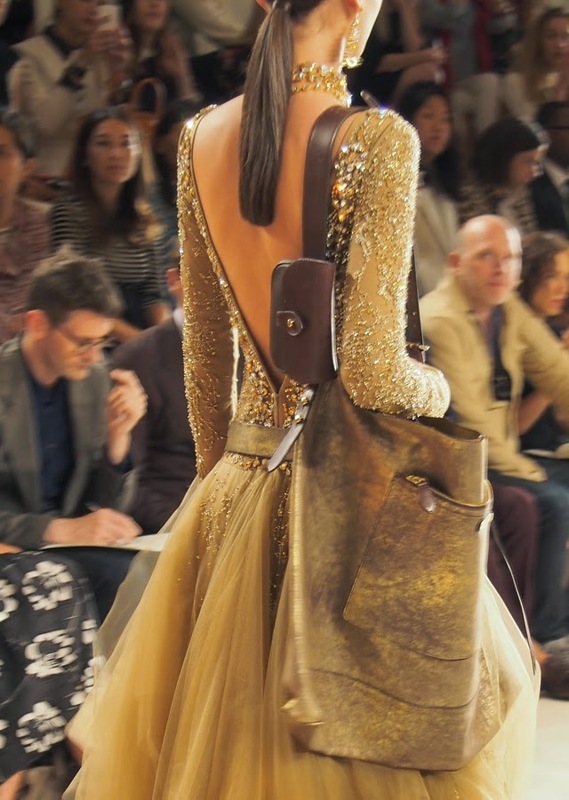 Yes, I would in fact do such a thing to have all of these beauties hanging in my closet come spring. 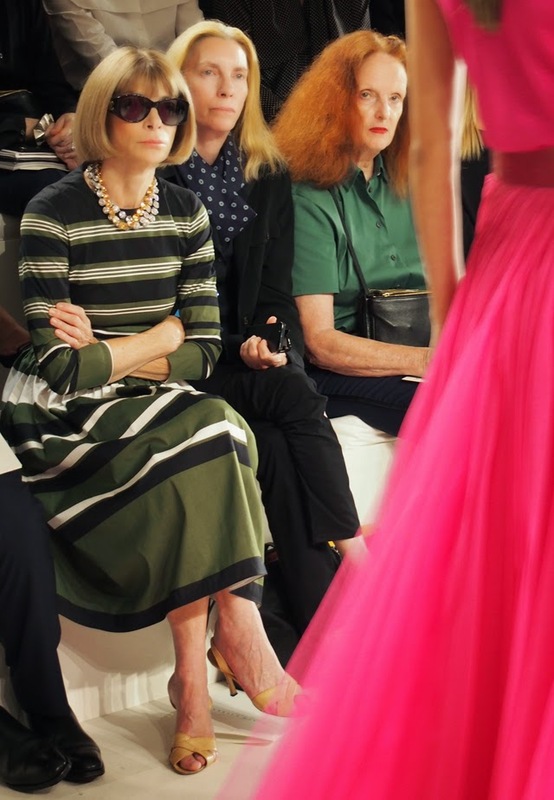 Julianne Moore sitting pretty front row, next to Bruce Weber. 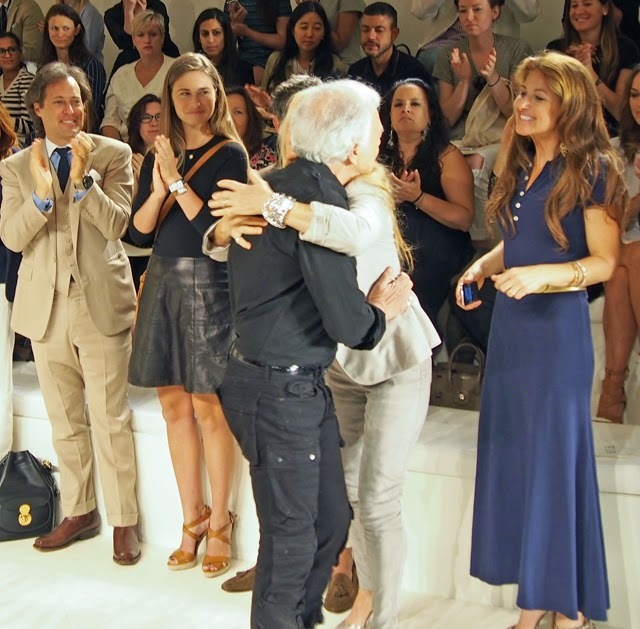 Ralph Lauren takes a bow, thanks his family (along with the gorgeous Nachos) and embraces his wife. All pictures taken using the Olympus Pen. FFG is an ambassador for Olympus in the UK.